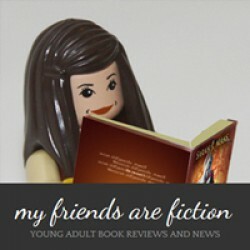 Also on my blog, My Friends Are FictionIf you've not read Elixir (novella that takes place in between Deity and Apollyon from Aiden's POV) do so now!My Thoughts: The story picks up with Alex being awakened and connected to Seth, this makes her 'Evil Alex.' She is kept imprisoned to keep her and everyone else safe since her emotions and actions are not her own, she is more Seth than Alex. 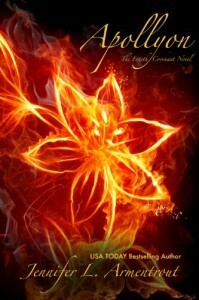 Jennifer Armentrout's books always have a fast pace and never cease to entertain. Between the witty dialog and fast paced action scenes her books make for fast reads. As a whole Apollyon delivers; the beginning third of the book dragged for me but as I got deeper into the action I was more immersed. I actually found a lot of the fighting in this book more engaging than I have in the other books. Alex awakened is really amazing in a fight.Akasha ripped from me, arcing through the air like cloud-to-cloud lightening, homing in on its target and striking true.The Characters: Alex has really grown and matured through the progression of the series. She actually thinks before she takes action or speaks; she's as surprised as the reader by her changes. She has embraced her responsibly as the Apollyon and has started to realize the important role she has.I was a tad bit disappointed we didn't have more Seth. I have finally lost my battle with denial and admit he's on the bad guy's team, but I still love his snarky, egotistical attitude. I think Seth and Alex's interactions drove a good amount of my enjoyment in the previous books. But for Aiden fans this book will make them exceedingly happy; Armentrout really builds on Aiden and Alex's relationship.Final Thoughts: Another engaging installment in the Covenant series, Apollyon sets the stage for an exciting final book, Sentinel.